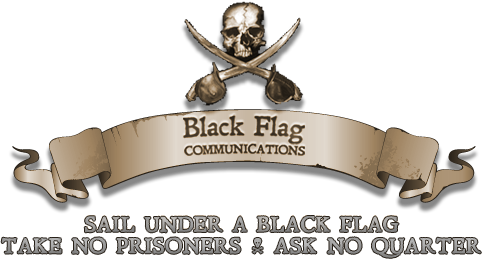 May 6, 2013–Scott Rye, Director of Black Flag Communications, will speak to members of the Florida Public Relations Association in Pensacola on Thurs., May 16, beginning at 11:30 a.m.
Rye will join Commander Kelly Brannon, Public Affairs Officer for the Naval Education and Training Command in Pensacola. The two will discuss military public affairs, including “Best Days and Worst Days,” as well as lessons learned. “Commander Brannon and I worked together handling Public Affairs for Fleet Week New York in 2005. I have great respect for her and am looking forward to sharing the stage with Commander Brannon,” Rye said. In addition to serving as Director of Black Flag, Rye is the Commanding Officer of Navy Reserve Navy Public Affairs Support Element, headquartered in Norfolk, Va. Besides the headquarters element, NR NPASE has detachments in San Diego, Chicago, Norfolk and Jacksonville, Fla., and is the Navy Reserve’s largest public affairs command. The Florida Public Relations Association (FPRA) is the oldest public relations organization in the United States. Members represent a variety of different organizations including private and public corporations, government entities, not-for-profits, counseling firms and independent practitioners.